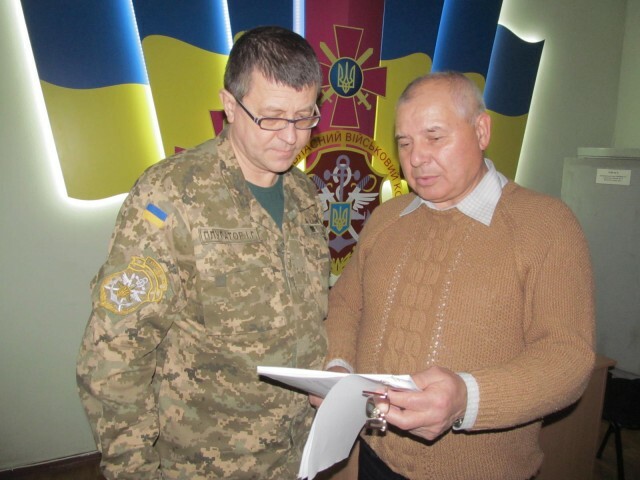 The regional media center of the Ministry of Defense reported that the regional public reception Defense Minister will be opened on the basis of the regional military commissariat in Kharkiv. The equipment rooms are completed already, reception staff was provided with everything necessary. The officer of the regional military commissariat, Lieutenant Colonel Igor Plugator was put in charge for organizing the reception. He said that the representatives of the Department of Social Welfare and members of the military office of veterans’ organizations will work in the newly formed reception. Also, the organization has hired lawyers and financiers. The grand opening of the reception will be held on 28 December.